I am addicted to Urban Decay’s Naked eye shadow palettes and right now it’s all about Naked 3, which is their rose eye shadow collection. Most days I incorporate at least one of the eye shadow colors into my work makeup look. The other day while I was visiting H&M’s new flagship store on Fifth Avenue, I noticed they had different sets of smoky eye palettes with one in rose shades. It is so similar to that of Urban Decay’s that I had to pick it up and try it on. End result – great color! 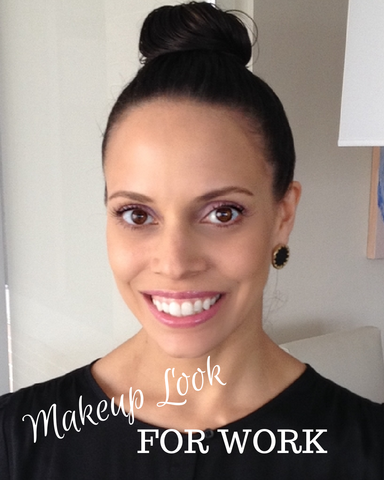 I was able to create a great pink neutral look that is perfect for daytime at the office. Pink is really in right now – lips, eyes and cheeks. This is a great way to incorporate the color into your daytime routine and the price can’t be beat ($5.95). And the color lasted all day, so two thumbs up on long wear as well.